In an average week in Colorado 158 babies are born preterm. 23 babies are born very preterm. 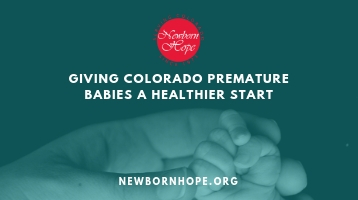 Prematurity is the leading cause of death in newborns in Colorado. Prematurity is the leading contributor to lifelong disabilities for children including developmental delays, chronic respiratory problems, vision & hearing problems and loss. National annual cost of providing medical care for premature babies is $13.6 billion. Be aware of the prematurity risk factors and acknowledge that you could be at risk. Seek prenatal care early and attend regular prenatal visits. Read more from our Carrying to Term Booklet!